www.fabriccarolina.com: Welcome to Fabric Carolina! Established in 2001, Fabric Carolina is an e-commerce only business that caters to the individual looking for high quality fabric, trim and rugs at affordable prices. Fabric Carolina offers the finest, first quality designer fabrics in the most popular patterns that are available today. Our products come directly from fabric and furniture manufacturers as well as "To the Trade Only" designer fabric suppliers. The retail price in many cases can be several hundred dollars per yard. 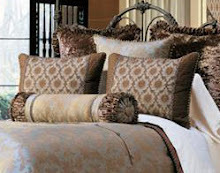 These companies are EXTREMELY high end and produce the "best of the best" furniture and fabric products available today. Our decorator fabric will make an excellent addition to any home with its character and style. Check out www.fabriccarolina.com for all of your decorating needs. We have fabrics for every budget and love to assist customers with any project. Visit our site and call us at 336-431-0464 or e-mail us at sales@fabriccarolina.com with any questions. We look forward to serving you!